Our programs concentrate first and foremost on deterring and preventing any acts of criminal intent or terrorism. 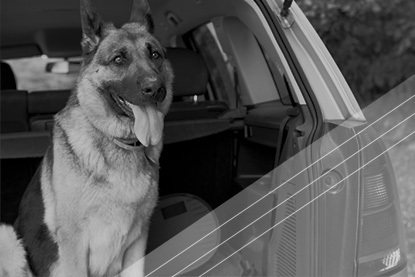 We believe that K9s play a critical role in maintaining the safety of your premises. Highly trained K9s patrolling the property is a powerful deterrent against criminals and potential terrorists. Moreover, working dogs from Maximum K9 Detection are expertly trained in detection services for explosives, narcotics, and even bed bugs. Maximum K9 Detection Services initial threat assessment presents the building blocks of prevention. Every security strategy begins with a professional, full analysis by our company. During this analysis, we’ll get to know the premises, your business, and areas where you would like to focus a security strategy. Not only does this analysis help us accurately quote security services for you or your business, but it creates a strong foundation for the rest of the security to run properly and limit threats. Our plan may consist of a mix of single or multiple dog teams for daily services, to random sweeps for special events. Today, our security dogs and handlers are held to rigorous and regular training. That means a team of one handler and one dog can cover more ground while still remaining reliable than ever before. Some businesses and small events can benefit from hiring a single dog and handler while other larger events may require more teams. From general patrol to crowd control and specialized search, the dog teams are trained to work alone or together to best suit your needs. After the project has been discussed and an appropriate number of dogs decided, it is time to implement the strategy. A properly diversified, proactive plan is critical to the client’s objective and the safe-keeping of the premises. We think it is important to mention that we are not affiliated with law enforcement. We are a private, third party service. As such, our K9 security team will alert the owner of any suspicious activity and it is then up to the owner to decide the next steps. Maximum K9 Detection offers two different regular plans to fit your company’s needs: a third-party security partnership or training to build your own dog team. If you elect to create a partnership, you can use Maximum K9 Detection handlers and dogs as your own. Brand them as employees of your business to maintain positive customer relationships. The team will work according to our agreed-upon contract. While you can market the service as your own, all of the fine details will be managed by Max K9, including maintaining, training, certifying, and compensating both the K9s and their handlers. If you have the bandwidth and need to build your own team, Max K9 can be the knowledge house, resource, and supplier of everything you need for a full K9 team. We can help you choose the best dogs for your needs – or further train any existing furry teammates, prepare dogs for certification, lead maintenance and K9 handler courses, and more. Most importantly, our team will help you track the results of implementing a K9 strategy. We aren’t the type of team to just “set it and forget it.” We’ll stay in frequent communication with you no matter which strategy you choose to make sure it always fits your needs. Our first goal is to keep you, your friends, family, and company safe with the help of working dogs. With frequent training, Max K9 can tweak your strategy as needed to make sure you get the protection or detection you deserve. When you are ready to move forward we will gladly meet with your security personnel to discuss how and when we will conduct our searches. Contact Maximum K9 Detection today for private detection and K9 service.